Jasvinder Sanghera was born and brought up in Derby. 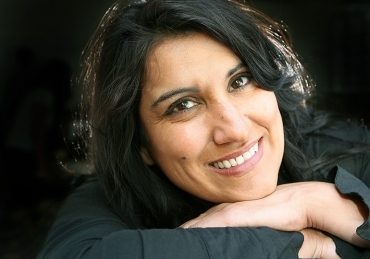 A survivor of a forced marriage, she is the founder of Karma Nirvana, a national award winning charity that supports both men and women affected by honour based abuse and forced marriages. She is a highly acclaimed international speaker and an expert advisor to the courts in matters of child, civil and criminal proceedings, is a chair of domestic homicide reviews and was instrumental in ensuring that all UK police forces are required to improve their understanding of honour based abuse and forced marriage by inspections conducted by Her Majesty’s Inspectorate of Constabulary. Her memoir ‘Shame’ was a Times Top 10 Bestseller. 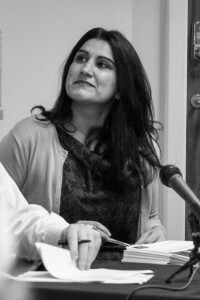 Jasvinder is recognised as bringing the issue of forced marriage into the public domain and Prime Minister David Cameron stated that her work ‘turned my head on the issue of forced marriage’. Her work is recognised as being pivotal to the creation of a specific UK forced marriage criminal offence in 2014. She has received numerous awards including the prestigious Woman of the Year 2007. She was made an Honorary Doctor of the University of Derby in 2008. When she was fourteen, Jasvinder Sanghera was shown a photo of the man chosen to be her husband. She wa s terrified. She'd witnessed the torment her sisters endured in their arranged marriages, so she ran away from home, grief-stricken when her parents disowned her. SHAME is the heart-rending true story of a young girl's attempt to escape from a cruel, claustrophobic world where family honour mattered more than anything - sometimes more than life itself. J asvinder is now at the frontline of the battle to save women from the honour-based violence and threatof forced marriage that destroyed her own youth. DAUGHTERS OF SHAME reveals the stories of young women kidnapped and taken to Pakistan to marry a man she had never met and Banaz, murdered by her own family after escaping an abusive marriage. By turns frightening, enthralling and uplifting. When she was a little girl, Jasvinder Sanghera's father told her about the village he came from in rural Punjab. He promised to take her there but at the age of sixteen, Jasvinder ran away from home to escape a forced marriage. With her daughter about to marry, Jasvinder decides to challenge thirty years of rejection by going to India to explore her roots. SHAME TRAVELS is not only a gripping and revealing quest, but also an inspirational journey of the heart. 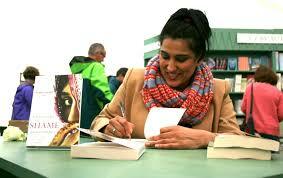 Since the books have been published, Jasvinder has received many letters and emails from readers. The following are extracts from some of them.